I well remember running a one-day post-trauma stress awareness training event for a group of psychodynamic and person-centered counsellors. The day went well and the delegates were a trainer’s delight, keen and enthusiastic to learn. However, as the day progressed and the questions became more searching, I knew it was only a matter of time before someone asked me which type of therapeutic approach worked best with post-trauma stress. If I were right I would have to declare a position and I suspected most of the counsellors present would not like my answer and would wonder how I could avoid the fall-out I believed would naturally follow. It was mid-afternoon before the question came and I told the group that in my opinion the symptoms associated with post-trauma stress were best dealt with using cognitive-behavioural techniques. The room went quiet, then the ‘yes buts’ came and all that was left for me to do was state why I believed cognitive-behaviour therapy to be preferable. BACP seeks to embrace all forms of counselling, yet I have found a reticence by many counsellors to accept CBT into the fold as a legitimate form of counselling. If anything CBT seems to unite other orientations against a common enemy. I have often got the feeling that it is just about acceptable to admit to using cognitive behavioural techniques but not to state a preference for CBT counselling. CBT is one of the newer forms of counselling which has offered itself for evaluation, yet it would appear the outcomes of such research are conveniently forgotten unless, of course, the outcome is negative. I am not saying that CBT is the best form of counselling – indeed, as many of us know, the lack of research into the efficacy of other approaches has more to do with difficulties in research methods than an indictment of these approaches. However, surely it is equally destructive to ignore what it known. 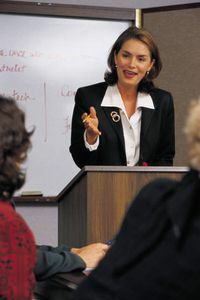 For example, CBT does have a major impact on depression, so much so that the United States Health Agency initiated a literature search of over 100,000 research papers, getting them reviewed by 73 professional bodies including the British Psychological Society and The British Psychiatric Association. They narrowed the research to 3,500 of what they considered the most reliable pieces of research from which treatment guidelines for depression were drawn up. I am not suggesting that we should end up with one treatment manual for the whole of the human condition. However, if CBT helps (if only in part) why not use it? Standing up for what we believe is never easy when it goes against popular belief, and it is much easier to stay silent or deny our beliefs, thoughts and feelings. However many changes in society started with one person spreading a message, who then became two, who then became four, and so on and so forth. Perhaps if enough people stand up for CBT and others keep an open mind we might see CBT taking its proper therapeutic place within BACP. At the moment CBT is not helped by becoming a political tool used to beat up other approaches. You may also like to know that many CBT specialists don’t like this either. Nice post..this post is very helpful. 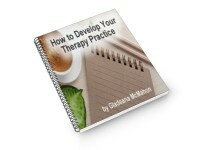 CBT is the best researched of all the psychological treatments. M also in this field. Interesting and a very open commentary on how counsellors can unite against CBT. I have found that a lot in multidisciplinary practices, until people have a lot of experience and become able to move away from belief and entrenched views which seems to be a common result of their training.